My own copy of Handbook of Nature Study arrived today! Is it wrong to want to make everyone fend for themselves for dinner, ignore baths and storytime and just sit and read myself? If there's one thing I have realized in the past two years it is how little I know! Homeschooling is a humbling experience, and one I am so grateful to have. A friend of mine whom I admire very much loaned me her copy of A Pocketful of Pinecones. I have loved every minute of this sweet book, and it is inspiring me to be a better mother and seeker of knowledge - specifically knowledge of our natural world. Handbook of Nature Study was mentioned so many times throughout the book, so I invested in my own copy. What a treasure. Have you read these books? Do you use a nature study guide that you particularly love? 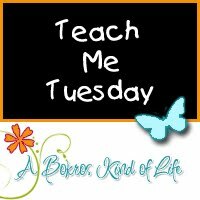 I'm trying to learn as much as possible, so please share with me! 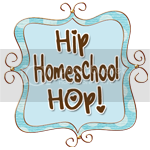 Linking up today with A Bokros Kind of Life and Hip Homeschool Moms.